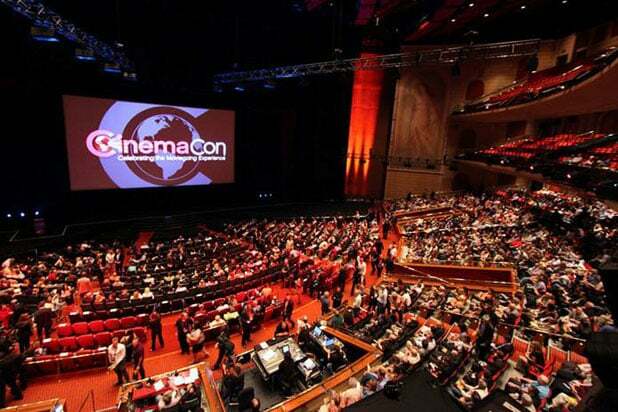 Exhibitors, studio executives, movie stars and the media have descended on Las Vegas for CinemaCon 2015. But what happens in Sin City, won’t stay there. TheWrap will be reporting live from the annual showbiz convention, covering all of the tentpole offerings from Paramount, Disney, 20th Century Fox, Universal, Warner Bros, Pixar, Sony and more. We’ll also be speaking to directors Robert Zemeckis, Chris Columbus, Genndy Tartakovsky, Rob Letterman and producer Neal Moritz, and getting a chance to spend some quality time with Breakthrough Performers of the Year Nat Wolff and Cara Delevigne as well as “Tomorrowland’s” Britt Robertson, who’s the choice for 2015 Star of Tomorrow. Keep up with all of it right here!